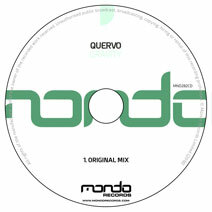 Quervo is back on Mondo Records. His much anticipated return comes in the form of his brand new single 'Gravity', which is another guaranteed summer anthem in the making. After giving us 'The Distance' in 2017, which was also featured on our Mondo Sessions 003 compilation, the rising star continues to impress and his latest production does not disappoint. Packing an infectious groove, a melody to die for and plenty of hands in the air moments throughout. Quervo sure knows how to create those clinical electronic masterpieces.